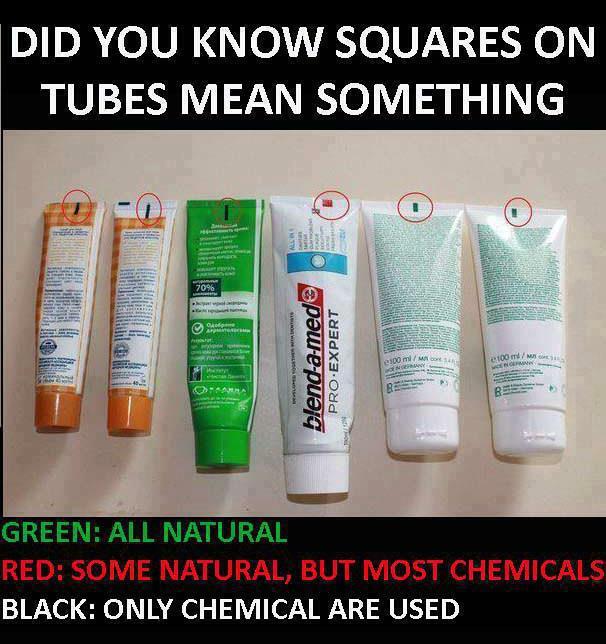 Did you know that squares on tubes mean something? 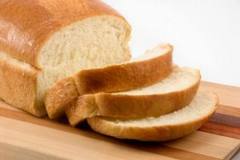 I was shocked to hear that certain products such as bread contain E920 L-Cysteine but in the same breath not that shocked as food with any additive in this world has now got so much things we are aware and not aware of that is not good for us. E920 IS obtained from human hair, pig hair and duck feathers (there is a synthetic form rarely used) due to the additive some breads and biscuits should be avoided, I choose not to eat pork and found this shocking that it is not clearly indicated on bread and biscuit packets. Also the thought of human hair is off putting and I feel strongly that food should be labeled so everyone can choose for themselves. I have since checked the label of breads here in the UK and I have found that some do contain it, I also researched various websites. I have been wanting to get back into baking my bread and I will most defiantly take the time to do so as well as visit the bakery. 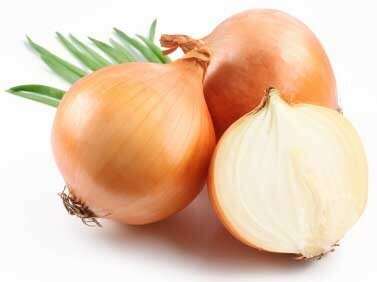 An essential amino acid, present in all protein (essential indicates that it is needed by the human body). Derived from proteins, including animal protein and hair. Bread enhancer. It stabilises the structure of leavened bread. None. E920 can be obtained from animal sources, including pork. It should thus be avoided by Muslims, Jews, Hindus and vegans. SWEET POISON..A MUST READ !!! When she got to Florida March 22, all she had to take was one pill, and that was a pill for the Aspartame poisoning! She is well on her way to a complete recovery. And she is walking! No wheelchair! This article saved her life.If it says ‘SUGAR FREE’ on the label; DO NOT EVEN THINK ABOUT IT!I have spent several days lecturing at the WORLD ENVIRONMENTAL CONFERENCE on ‘ASPARTAME,’ marketed as’Nutra Sweet,’ ‘Equal,’ and ‘Spoonful.’In the keynote address by the EPA, it was announced that in the United States in 2001 there is an epidemic of multiple sclerosis and systemic lupus. It was difficult to determine exactly what toxin was causing this to be rampant. I stood up and said that I was there to lecture on exactly that subject. 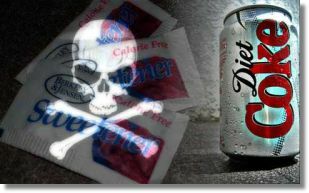 Dr. H. J. Roberts stated in his lectures that once free of the ‘diet products’ and with no significant increase in exercise; his patients lost an average of 19 pounds over a trial period.Aspartame is especially dangerous for diabetics. We found that some physicians, who believed that they had a patient with retinopathy, in fact, had symptoms caused by Aspartame. The Aspartame drives the blood sugar out of control. Thus diabetics may suffer acute memory loss due to the fact that aspartic acid and phenylalanine are NEUROTOXIC when taken without the other amino acids necessary for a good balance. So called ‘behavior modification prescription drugs’ (Ritalin and others) are no longer needed.Truth be told, they were never NEEDED in the first place!Most of these children were being ‘poisoned’ on a daily basis with the very foods that were ‘better for them than sugar.’It is also suspected that the Aspartame in thousands of pallets of diet Coke and diet Pepsi consumed by men and women fighting in the Gulf War, may be partially to blame for the well-known Gulf War Syndrome. Sadly, MONSANTO’S patent on Aspartame has EXPIRED! There are now over 5,000 products on the market that contain this deadly chemical and there will be thousands more introduced. Everybody wants a ‘piece of the Aspartame pie.’I assure you that MONSANTO, the creator of Aspartame, knows how deadly it is. The bill was killed.It is known that the powerful drug and chemical lobbies are responsible for this, letting loose the hounds of disease and death on an unsuspecting and uninformed public. Well, you’re informed now! Tracy Baxter No more Pepsi max for me ! 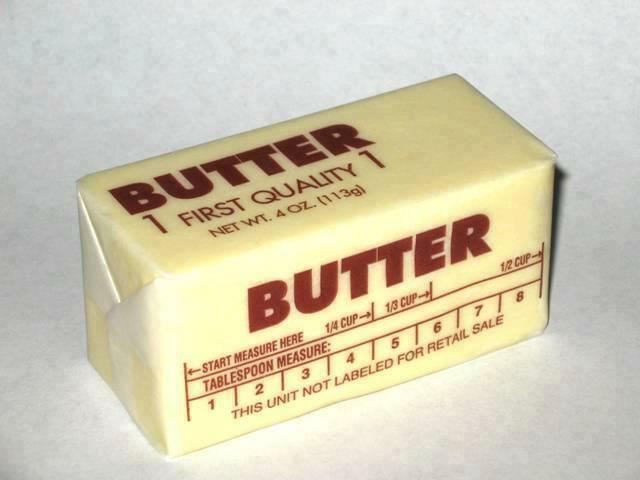 Pass The Butter … Please! 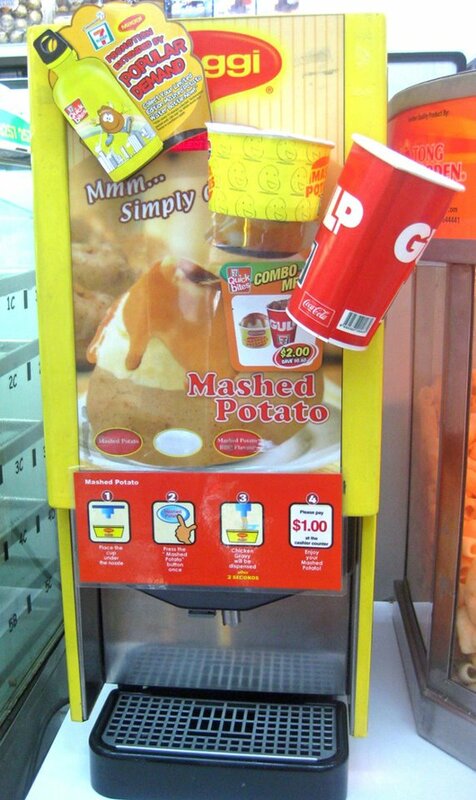 7-Eleven now has a slushy-like mashed potato machine.